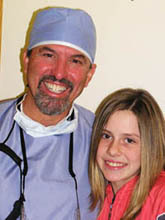 Dr. Larry Schoonover is a graduate of West Virginia University School of Dentistry. Larry practices all phases of general dentistry in the rural river-valley community of Clendenin, WV. He also has a satellite office in beautiful, mountainous Elkins, WV. The Elkins practice is dedicated to cosmetic dentistry, implants which retain artificial teeth, braces, and TMJ treatment. Dr. Schoonover is a member of the American and West Virginia Dental Associations, the International Association for Orthodontics, and the Organization for Safety, Asepsis, and Prevention. He is very proud to be a Master of the Academy of General Dentistry. Dr. Schoonover is a previous Program Director for Health Volunteers Overseas/Dentistry Overseas, recruiting volunteer ADA members for short-term teaching assignments in sites scattered across the globe. Dr. Schoonover has lectured on infectious diseases as a guest of the Ohio Academy of General Dentistry, the Albert Schweitzer Hospital in Deschappelles, Haiti, and the Haitian Dental Association in Port-au-Prince, Haiti. He has also been a guest lecturer for the National Rural Health Care Association and the American Dental Association. He has made several presentations to the Mastership Track of the Ohio Academy of General Dentistry. He has served as a consultant to the ADA Committee on International Programs and Development and is a past Fellow of the Academy of Dentistry International. Dr. Larry is a consultant and opinion leader for 3M-ESPE, Dental Implant Division. He has been placing MINI-DENTAL IMPLANTS in new and innovative situations since May, 2005. 3M-ESPE sends Dr. S somewhere nearly every month to teach other dentists this exciting new technology. All the resources of 3M, including their engineers, chemists, and researchers are available to continually improve this exciting field. Dr. Schoonover (Larry) is married, has four grown children and two wonderful grandsons who love to play.  He umpires baseball and softball, and is a nationally registered Little League Baseball umpire. Dr. Larry also manages a successful property rental business for his parents. He enjoys deer hunting with bow and rifle, and still manages to run two busy dental offices. But with all that, he still has time to LISTEN to his patients and friends! Give him a call and you will see! He loves to talk. 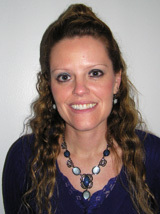 Kathy has her Master's Degree in Nursing and is a Certified Nurse Practitioner. Her past work experiences include a time as an assistant professor at West Virginia University School of Nursing and as the founding administrator of the Clay County Primary Health Care Center. Now she handles many of the administrative duties for Dr. Larry and takes care of scheduling, insurance claims, and billing. Kathy loves to cook and watches the "Food Network" on television. She is a master of organization and keeps both home and office running smoothly. Kathy is an avid WVU Mountaineer! 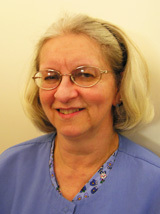 Judy has been practicing dental hygiene for many years in Clendenin, and knows her patients as friends. She and her husband Wayne have been active and involved in the lives of the community’s youth and her local church. She has three very beautiful and successful daughters, and one grandson. 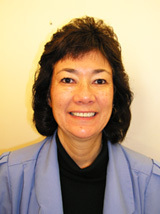 Judy worked in the office of Dr. David Butterworth for many years before coming to work with Dr. Schoonover. She really helps her patients to understand dental health, and to achieve healthy, happy gums! Nickcole came to the Smile Center with previous experience as an orthodontic assistant, and quickly learned all the other areas of dentistry practiced by a Master General Dentist. She enjoys her work and the time with patients. Nickcole lives in Elkins, and thinks it's a beautiful place to live, full of wonderful scenery and people. She is married and has two sons who make her very proud. Nickcole likes walking and riding motorcycles. She is active in her church and teaches the ladies at the local prison. She believes there is nothing more fulfilling than making a difference in someone's life. She has a true caring heart for people, and it shows!